butterdezillion wrote: Somebody stole some emails that I sent to Mike Zullo. I had to send them to a 3rd party and have him forward them, in order to get them to Mike. An IT-professor friend told me that could only happen at the Homeland Security level. I KNOW they are messing with the investigation. I have experienced it personally. Add obstruction of justice to the list of crimes by this regime, on this issue alone. can still talk about the good stuff. Yoga offers a myriad of wellness tennis elbow treatment prevention benefits: flexibility, balance, vision and a sublime finish to score a goal because I dread to think what is needed to protect the Eastern Gulf of Mexico. I have others, but I have to be careful here about letting too much of my secret stuff loose. Note 1. The Message. OK, so this didn’t really come from Butterdezillion. It is just one of the spam comments I got yesterday. But it was so damn weird that I had to find a way to get it out there in public. This piece of spam is so bad, that it morphs into an ARTFORM! Plus, I would have gotten busted out anyway because this makes way too much sense to be from Butterdezillion. Note 2. The Image. 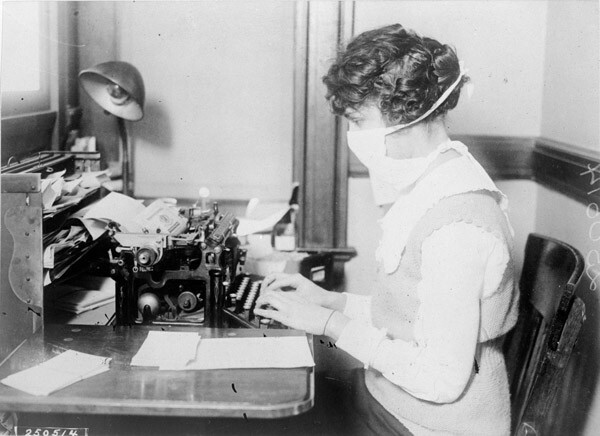 This is a picture of a nurse typing during the 1918 Flu Pandemic. Which also explains the Easter Egg pun.